Johns Manville Mineral Wool batts are made of inorganic fibers derived from basalt, a volcanic rock and are enhanced with glass fibers. Our advanced manufacturing technology ensures consistent product quality, with high-fiber density and low shot content for excellent performance. 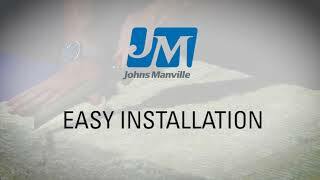 Made from high-density, noncombustible material, Johns Manville Sound & Fire Block® mineral wool helps delay the spread of fire between interior floors and rooms. 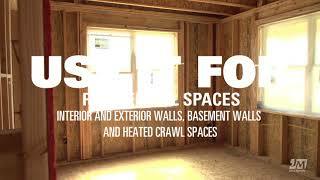 Johns Manville Sound & Fire Block® mineral wool batts are noncombustible and moisture-resistant. 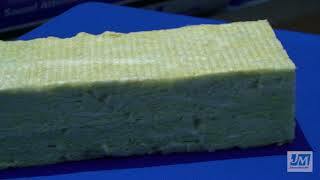 The high-density fibers in mineral wool help delay the spread of fire and reduce noise transfer in interior walls and between ceilings and floors. Sound Control: Absorbs sound and improves wall assembly STC ratings by up to 10 dB. Fire-Resistant: Melting point in excess of 2000˚F (1093˚C). Flame Spread of 0 and Smoke Developed of 0. Durable Inorganic Glass: No growth of fungi. No sustaining of vermin. Designed to help delay the spread of fire, Johns Manville Mineral Wool TempControl® Batts offer thermal control for wood-stud cavities of exterior walls, basements and heated crawlspaces. Johns Manville Mineral Wool TempControl® batts offer R-Values up to R-30. Noncombustible, fire- and moisture-resistant, they are designed to deliver thermal control and delay the spread of fire in wood-stud cavities of exterior walls, basements and heated crawlspaces. Thermally Efficient: Effective resistance to heat transfer with R-values up to R-30.